From NYC to Maine, the change in pace was welcomed with open arms this week. 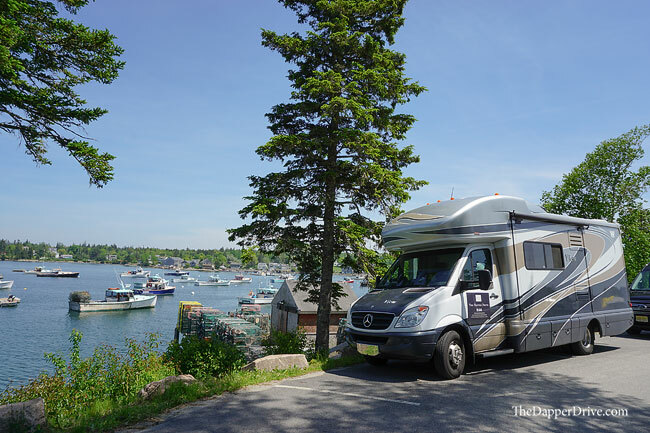 I’ve been looking forward to RVing Maine all year. The coast is beautiful, the people are so laid back and nice, and the weather this time of year is perfection! 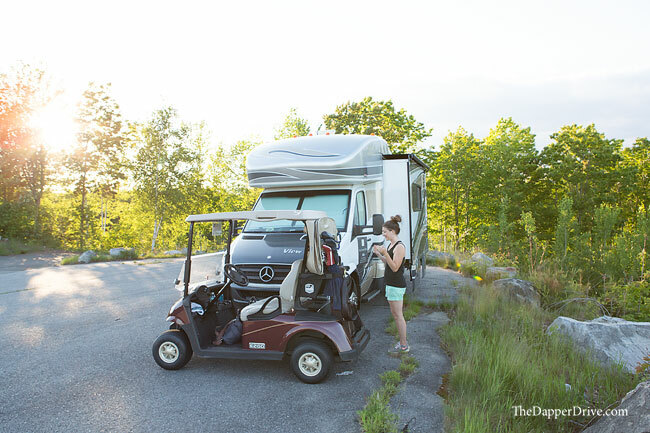 From touring the Titleist Ball Plant to #EllaGriggs golfing with us to hiking, biking, walking and driving the RV through Acadia and boondocking in Walmart for 3 nights, Week 23 was VERY eventful, scenic, and adventurous! 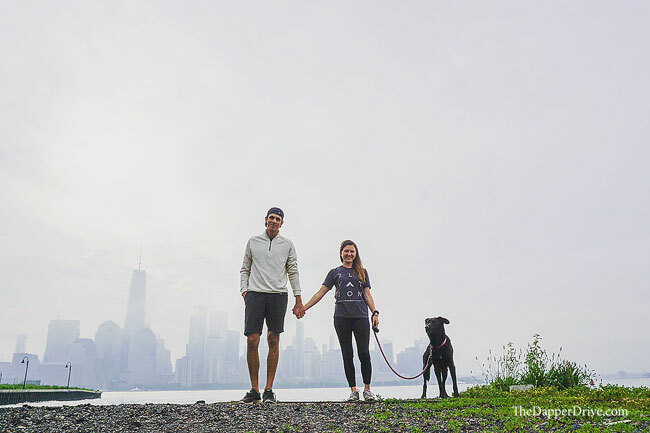 Day 152 – Bye NYC. 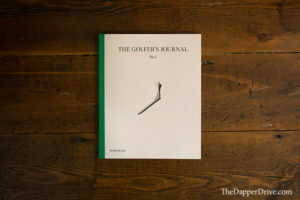 Hello Titleist! 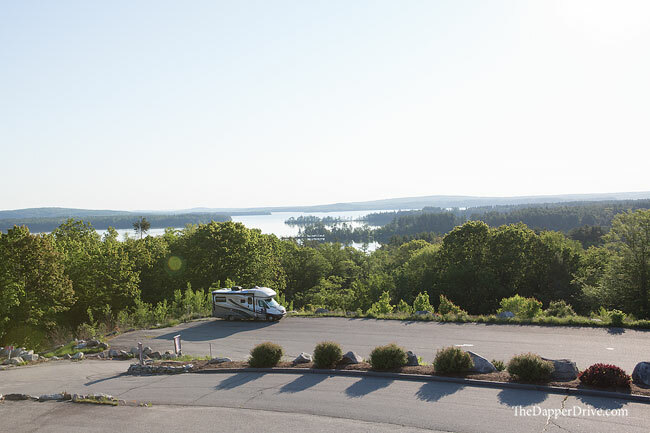 We said goodbye to NYC and the RV park(ing lot) and hit the road for Boston, MA. 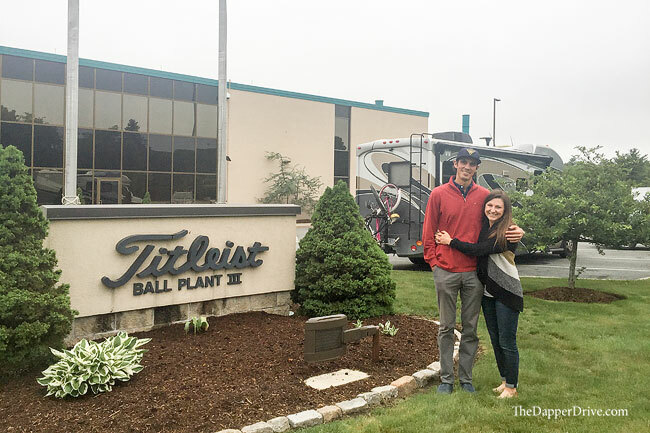 We stopped about an hour outside of Boston to take a private tour of the Titleist Ball Plant to see how they’re made! It was fascinating to see what goes into making those little balls but cameras weren’t allowed inside. That’s top secret info. 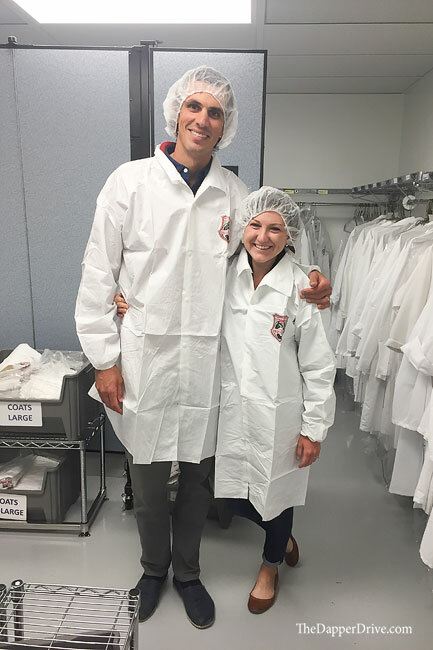 But we did get this super cute picture in our white gowns required to watch the painting phase. 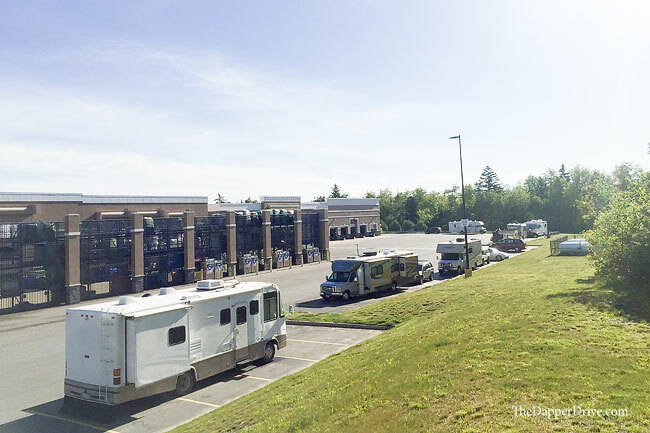 Day 153 – Driving to MAINE! It was an uneventful day full of rain and lots of driving but one that I was SO excited about. 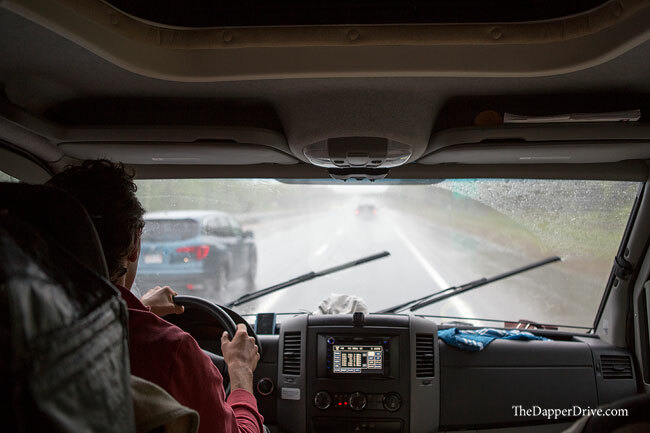 We left our Walmart overnight spot in Massachusetts and hit the road for MAINE – one of the states I’ve been most looking forward to visiting the most this year! 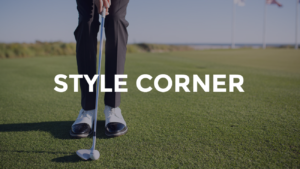 Day 154 – Golfing with Ella! 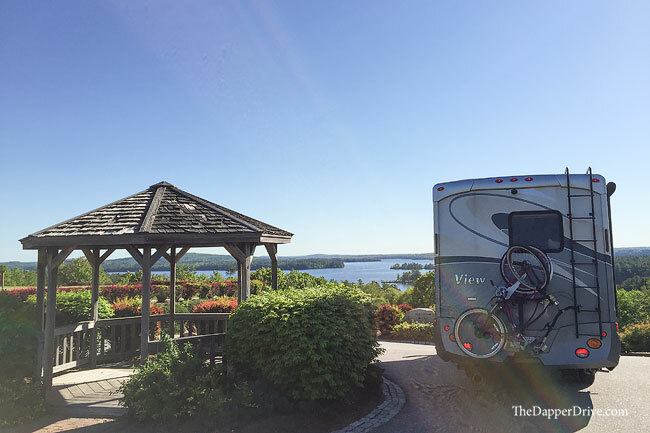 #DiegotheRV pulled up to Belgrade Lakes Golf Course with the happiest crew (us) and a beautiful view overlooking the lake. 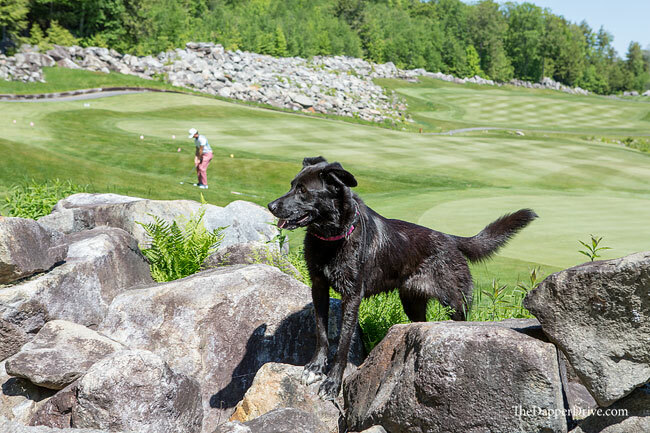 The golf course is DOG FRIENDLY so #EllaGriggs got to spend all day with us. 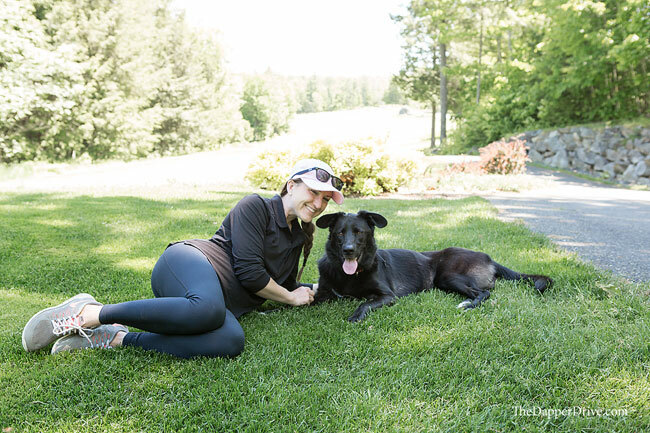 She ran and explored all 18 holes which means she was super exhausted for the next 2 days! 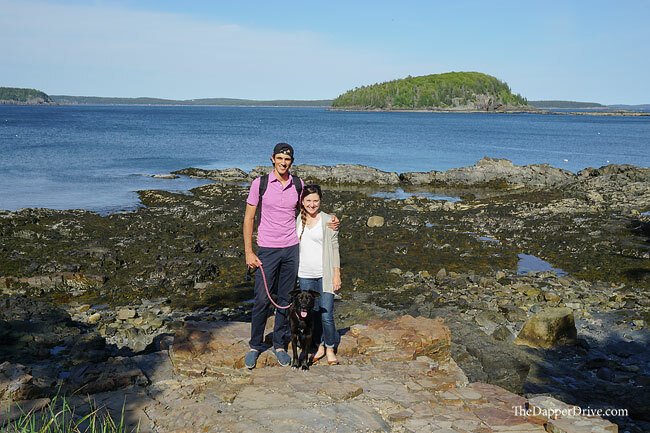 We woke up with the prettiest view at Belgrade, showered up and headed a few hours north for Bar Harbor! 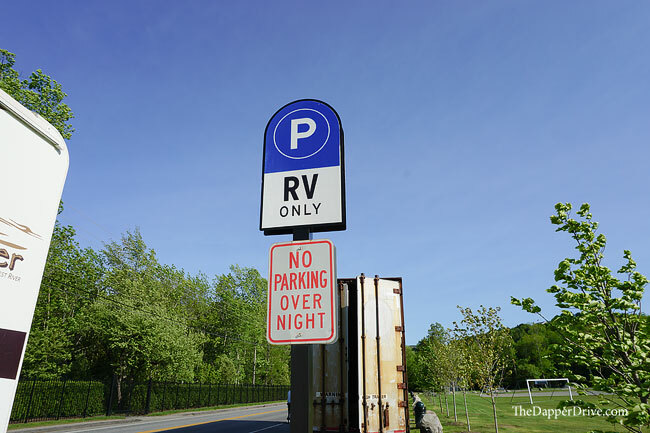 We quickly found it’s easy to get around the island in the RV and there’s even day street parking specifically for RVs which makes it so easy to explore when your RV is your car! 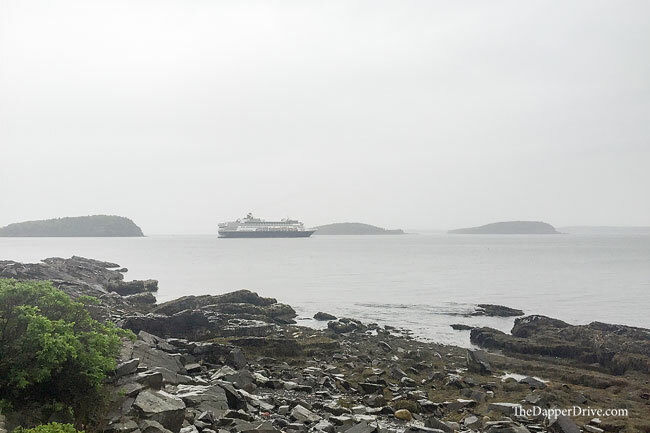 It was a rainy, gloomy day in Bar Harbor so we took it easy and caught up on a little work. Our big adventure for the day, finding water! Our fresh water tank was nearly empty. Since we’re boondocking the next few days (not hooked up to water or electricity), we’d need to fill our fresh tank up so we can shower, wash dishes and flush the toilet. 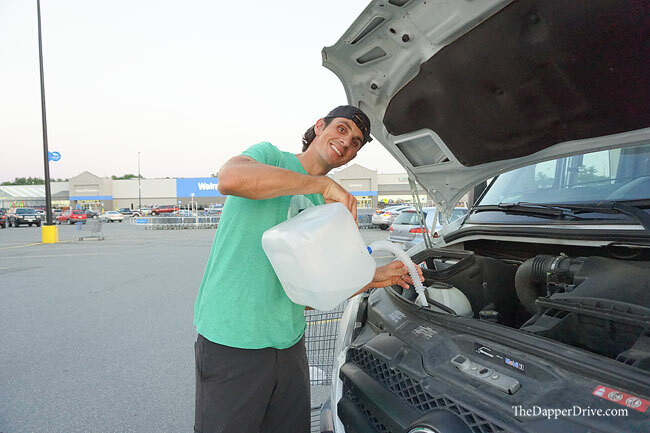 Our method – drive around and ask to borrow a water hose! We usually get it at the gas station but they didn’t have one. 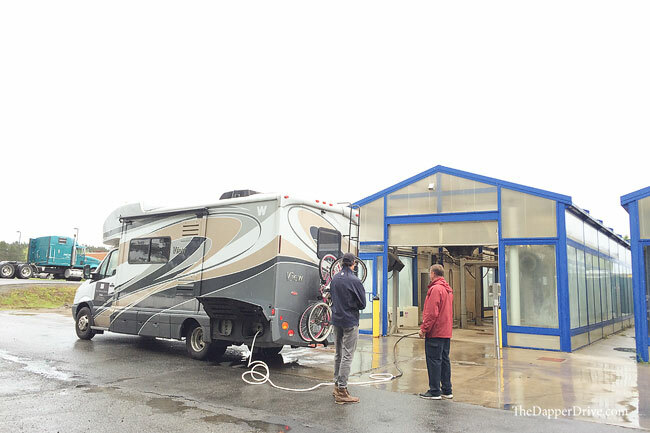 Next stop, the car wash and they did. We filled it to the brim and the really nice attendant taught us about lobster fishing and where to get the best lobster in town. It was the most beautiful day. 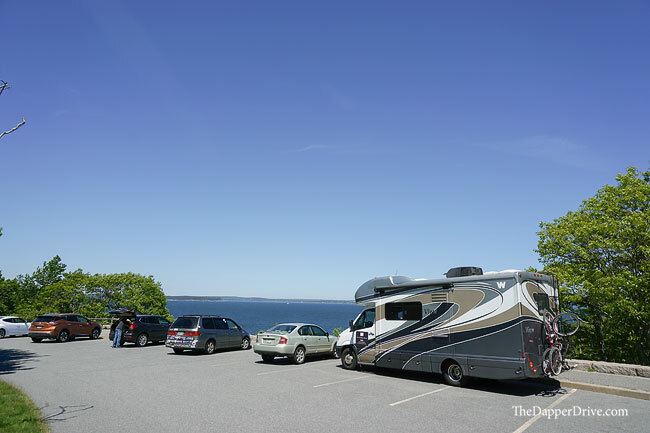 We left our Walmart camping spot early for Acadia National Park to explore in the RV. 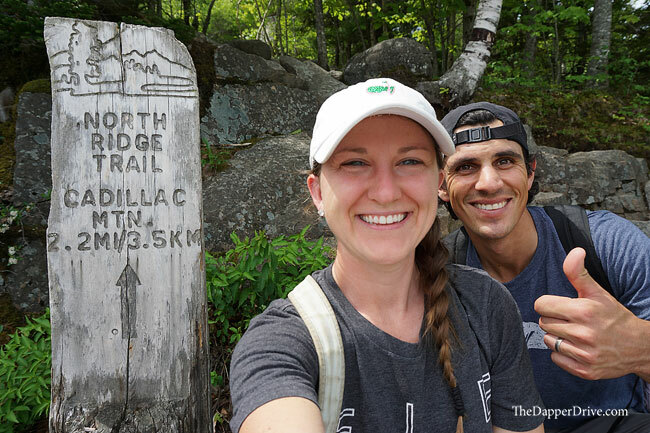 I was really looking forward to seeing the top of Cadillac Mountain but we were sad to see you can’t drive that road with an RV 🙁 So we filled the day with beautiful overlooks, a few smaller hikes on the coastline and a bike ride around Eagle Lake. 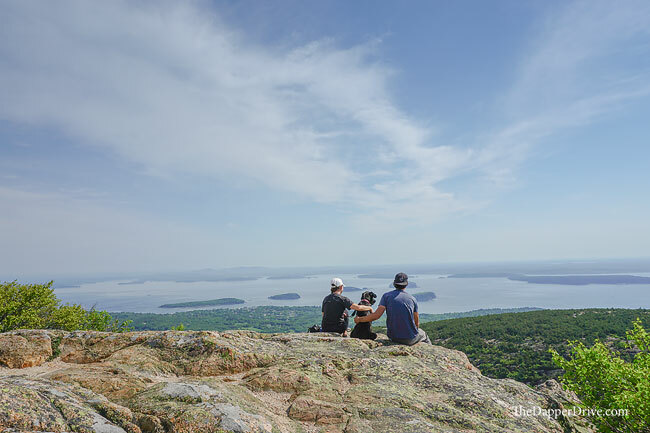 I’m so out of shape which is really going to make the hike to the top of Cadillac Mountain (1530 ft) really fun tomorrow! 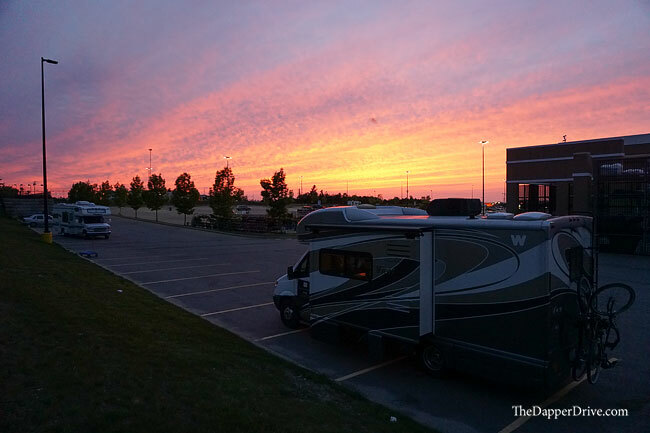 After a long day of exploring, no showers, no agenda and lots of fun, we headed back for our campground, I mean our Walmart parking spot 😛 Every night there were at least 10 RVs all over as you can see below! P.S. 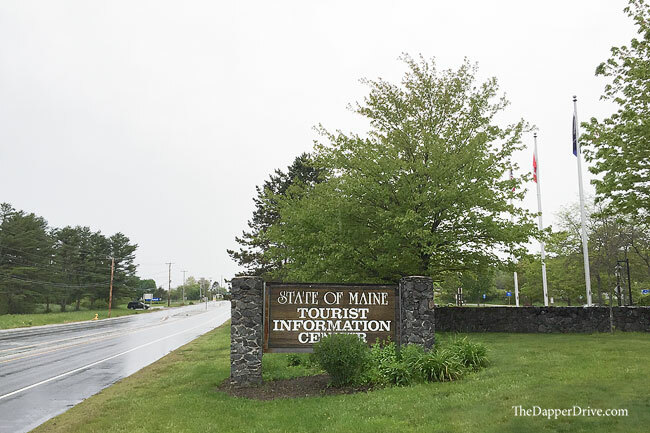 – Props to Maine for having LOTS of places to recycle. We find it really hard to find a place to take our recycling while traveling so much. So when you see a recycling can at one of your overlooks, you get out your two big bags you’ve been saving and get your recycle on! 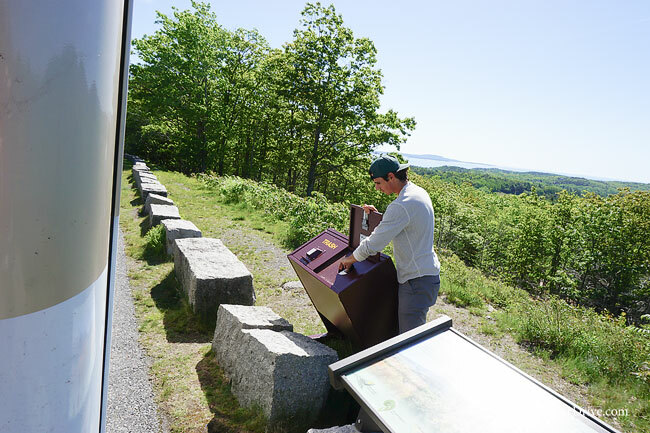 Because there are no RVs allowed at the top of Cadillac Mountain, we decided we’d hike to the top. To see the sun actually rise from the peak, we’d have to get up and leave Walmart by 2:30 AM and hike in the dark. We opted for an early morning hike instead which was still so BEAUTIFUL! We found a nice shaded street parking spot for #DiegotheRV while Ella, Jordan and I hiked the North Ridge Trail to the top! It took us about 1.5 hours to make the 2.2 miles up. I’d say it was a mostly moderate hike and Ella did really well. We even saw a few kids on it too. The views are WORTH IT so take this hike if you’re in the area. We were pretty beat and very hungry for lunch after all that exercise. Jordan found this great little place on the coast called Thursten’s with seating right on the water and the BIGGEST lobster rolls we’ve ever had. Even Diego got a nice view! 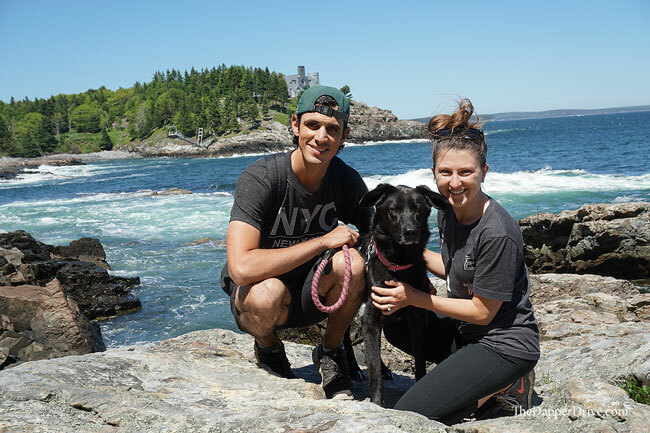 Now you can see why it was hard to say goodbye to Bar Harbor but it was time to start making our way to upstate NY. But first, time to DUMP! We’d been boondocking for 4 days so our black and grey tank were ready to be dumped and we needed more water. Enter the grossest dump station ever! At least it got the job done. 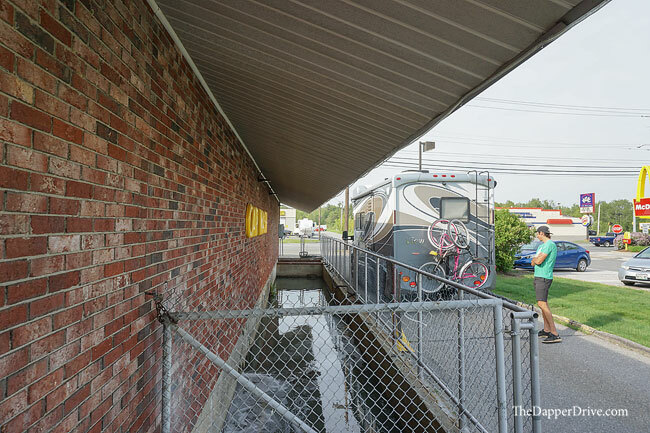 On the drive, our “Your DEF fluids are low” dashboard light came on so we added that to the list of RV errands for the week. I already miss the amazing views in Maine. We will definitely be back next Summer. 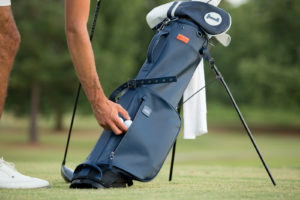 The next stop is Upstate NY for a few days playing Turning Stone Resort’s two Top 100 golf courses, then to Pennsylvania to visit Jordan’s parents for a week! I’m excited to see the in laws, eat lots of food, catch up and wash ALL of our laundry fo’ free! Wonderful trip you guys are awesome I also love the fact that you can boondocks at Walmart even the sign says no! Thanks Tuong! We try to stick to the rules as often as possible and most Walmarts will let you if you ask (even if those signs say otherwise. Thanks again for following along on this year’s journey!